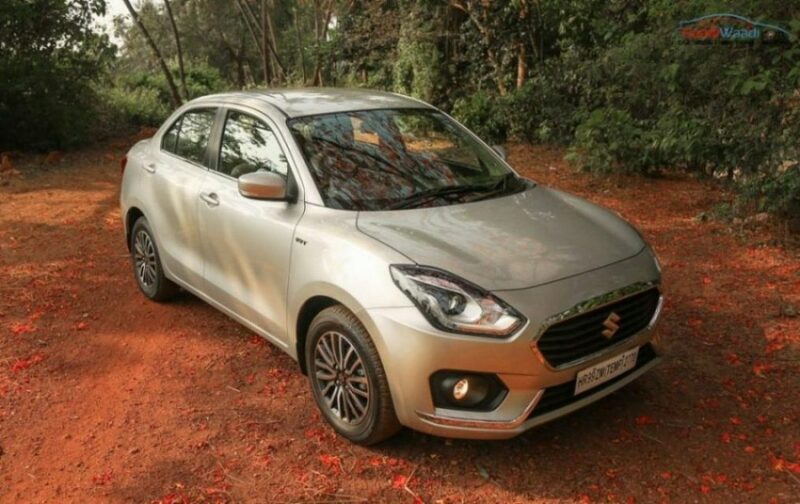 Maruti Suzuki introduced Special Edition Dzire in India for festival season and it is based on entry level Lxi/Ldi variant as the company has added extra features to make the model more attractive for customers. The special edition model is available in both petrol and diesel engines. The Dzire Special Edition comes with 2-speaker Bluetooth audio system, reverse parking sensors, front power windows, central locking system and new elegant wheel cover. The base variants also come standard with MID screen in display, tilt steering, gear shift indicator, front accessory socket and engine immobilizer. Maruti Suzuki has also given lots of safety features as standard like dual airbags, ABS, EBD, brake assist, ISOFIX child anchorages, seat belt warning lamp and buzzer, front seat belt with pre-tensioner and force limiter. The Dzire special edition petrol model is priced at Rs. 5.55 lakhs and diesel at Rs. 6.55 lakh (both prices, Ex-Showroom). The Dzire petrol model is powered by 1197 cc four cylinder unit producing 82 bhp of power at 6,000 rpm and 113 Nm of torque at 4,200 rpm. The diesel engine is 1248 cc four cylinder unit puts out 74 bhp of power at 4,000 rpm and 190 Nm of torque at 2,000 rpm. These engines are mated to 5 speed manual and AMT transmission. The diesel Dzire returns 28.4 kmpl and it is one of the most fuel efficient cars in its class, while petrol returns 22 kmpl. Ever since the introduction of new generation model, the Dzire is one of the top performers in the country as the Indo-Japanese manufacturer sell more than 20,000 units consistently every month. 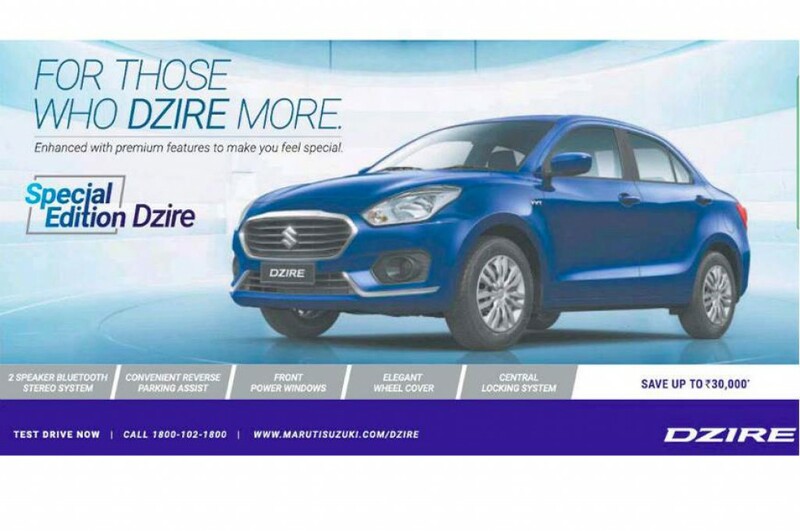 Maruti is also offering Dzire top of the line variant with lots of features like touch screen infotainment system with Apple CarPlay and Android Auto, climate control, key less entry, push button start, projector headlamps, LED DRLs, alloy wheels, electronically controlled OVRM, cooled glove box and more. The Dzire compete against Honda Amaze, Tata Tigor and Hyundai Xcent.